When planning your new business you want to choose an catchy, easy to remember name. This guide contains name ideas for a home renovation business. I need help coming up with a name for a complete Decorating and Renovation business. total decor and renovations, residential, commercial from a-z!"""" How about "It's all Inside"? How about "As You Like It" ? I'm starting a remodeling and deck building business. And I can't think of what I should name it. I would like something catchy. Help please? I'm starting a renovation business and I need some help with the name. Right now my mind is blank. What about "Mike's Do-over" or whatever your name is? Not sure about a name, but your catch phrase could be "Don't Relocate...Renovate"! 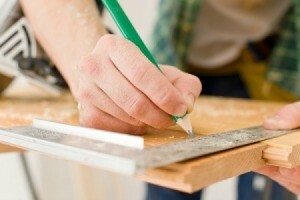 I'm looking for a business name for a "handyman and renovation" service. His name is Mike. Thanks. Mike's Rent-A-Husband, "We'll do your 'honey-do's' for less"
I'm starting a business as a general contractor and my specialty will be in interior remodeling. Any name suggestions? My husband and I are starting a home renovations company and we are trying to come up with something catchy that involves our names. His name is Michael and my name is Eliza and the last name is Jordan. We have well established business in painting, and it is named after owner Sebastjan. We are expanding and incorporating with another business involving modern interiors and landscapes (renovations). We are trying to come up with good name reflecting both business. Any suggestions?